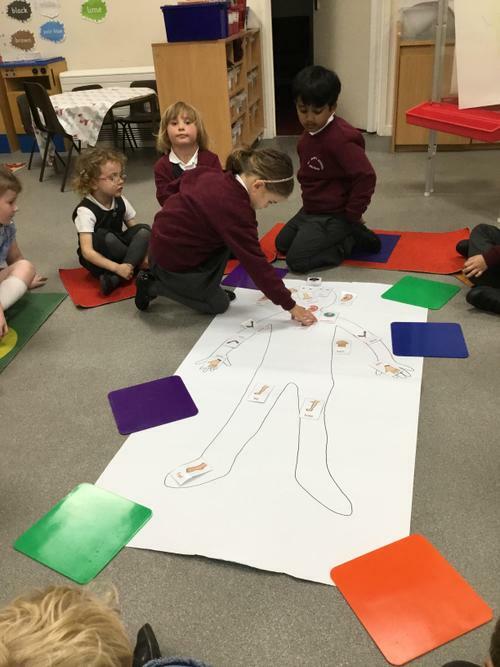 As part of our topic 'Marvellous Me', we have been thinking about our bodies. 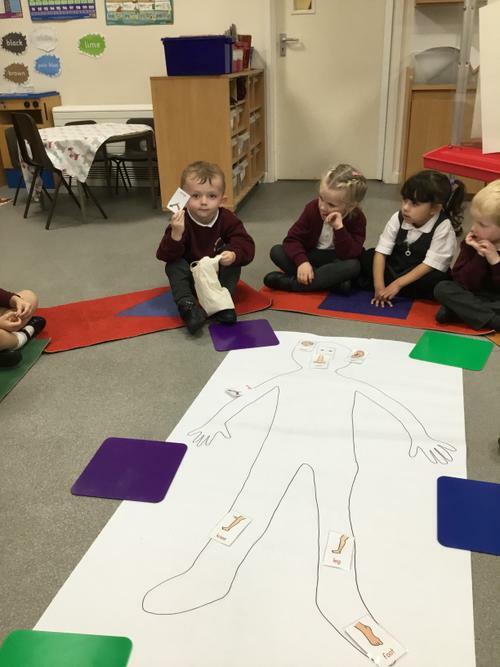 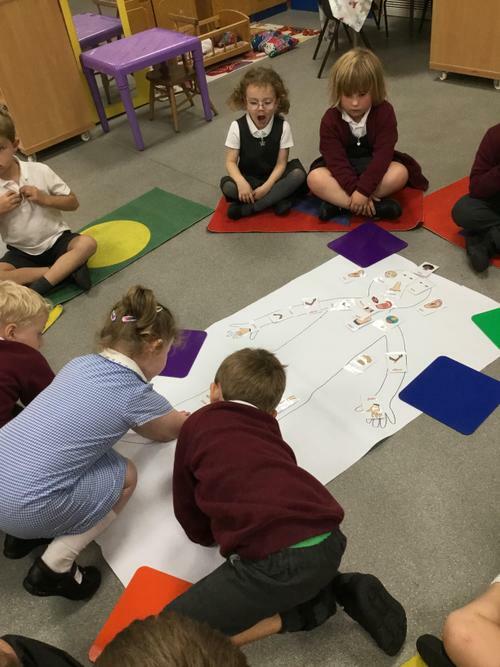 With Mrs Costello the children took it in turns to choose a body part from the bag and identify it on a body outline. 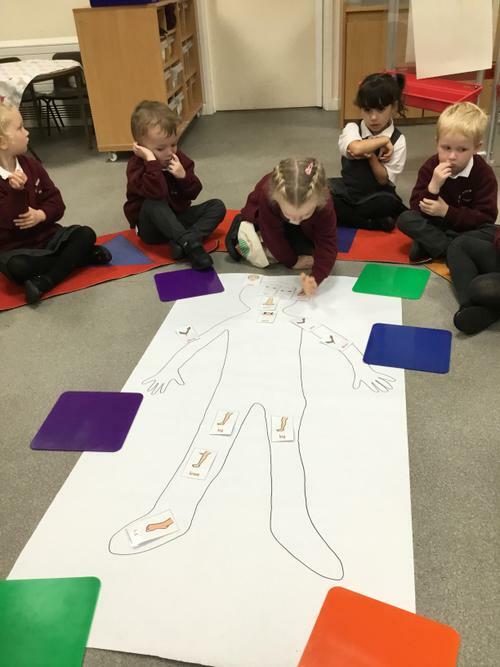 They were able to label all body parts by working together as a team. 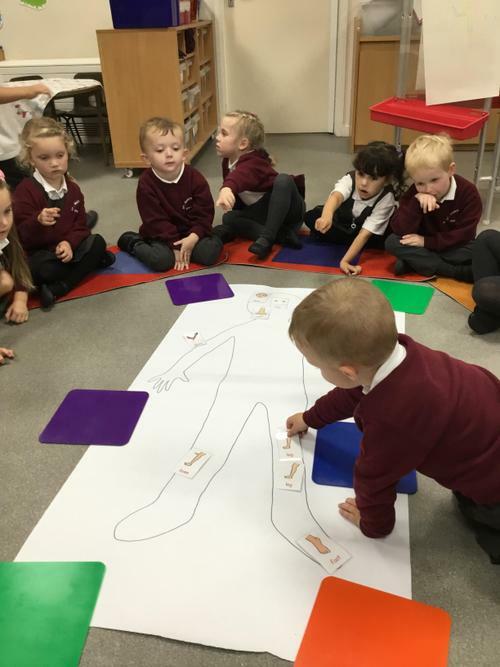 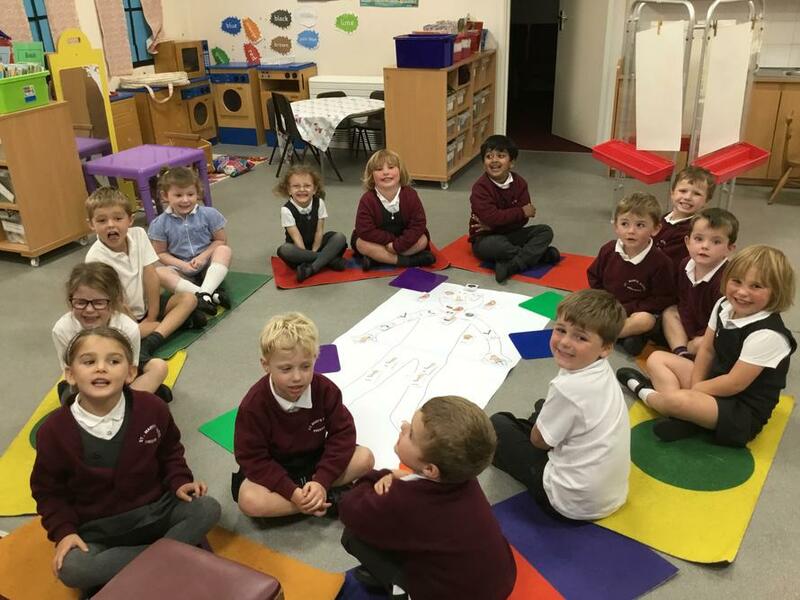 Mrs Costello asked the children to find each body part on their own body and think about its purpose - ears for listening, elbows to move your lower arm etc.